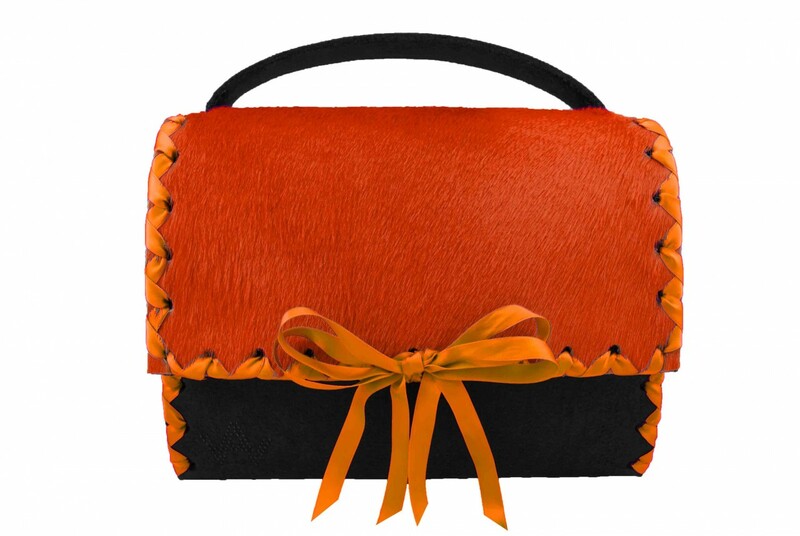 EyeCandy Black / Orange comes topped with fur on felt. Measures of the bag: 27 cm lenths, 22 cm high und 13 cm deep. The felt-handle is infinitely adjustable to a maximum lengths of 70 cm. This allows you to wear it as a shoulder-bag. If you need to extend the handle further, please check our accessories.